First Listen: Panda Bear, 'Tomboy' The Animal Collective frontman sounds moodier than usual on his fourth full-length album, but he's still the electro-pop genius fans love. Hear his new album in its entirety here until its release on April 12. The new album by Noah Lennox, a.k.a. Panda Bear, is titled Tomboy. When the first advance copy of Panda Bear's Tomboy arrived at the NPR Music offices, you'd think it had a halo. The fourth album from the Animal Collective frontman has been independent music's Holy Grail since its titular first single was released nearly a year ago. To fans who've wondered if anything could live up to Panda Bear's last solo record, 2007's Person Pitch, rest easy: Tomboy does not disappoint. 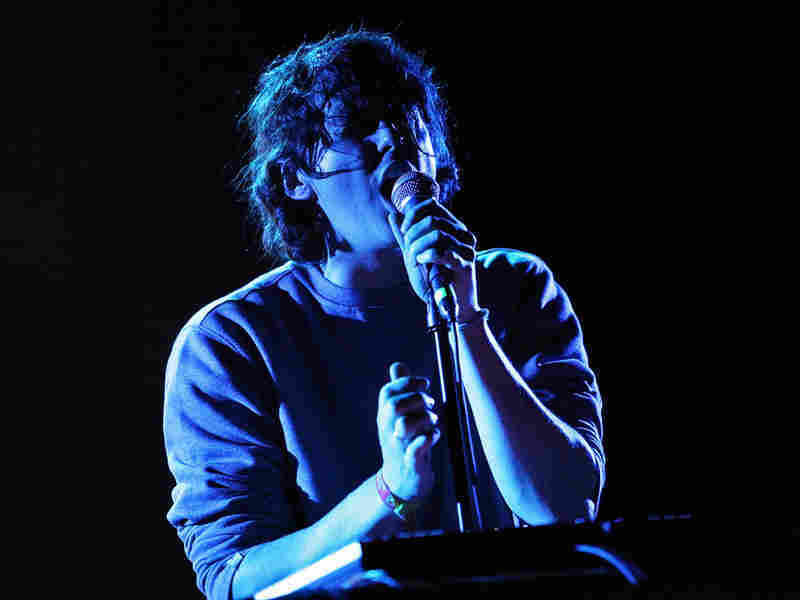 Panda Bear was born Noah Lennox in Baltimore, where he co-founded Animal Collective with childhood friends. After a stint in New York, Lennox relocated to Lisbon, where Person Pitch and Tomboy were made. The sunny and colorful Portuguese capital seems like a perfect match for Panda Bear's radiant music, but for Tomboy, Lennox chose a secluded basement studio in which to record. His sound, it seems, was seduced by the space: The album has a darker, lonelier vibe than his past work, assisted by heavily processed guitar. That said, this is still the Panda Bear fans love. It's clear that Tomboy's veins flow with Lennox's electro-pop blood from the opener, "You Can Count on Me," which gallops in unapologetically and plunges the listener into a heavy ethereal trance. Throughout the record, Lennox pushes the limits of his sequencers and synthesizers, twisting samples into coils of reverby reckoning. Lennox recruited British musician Peter Kember to mix Tomboy. Though the two had never met, Lennox had spoken highly of Kember's work, particularly his psych-rock project Spectrum; check out Lennox's guest DJ set on last week's episode of All Songs Considered to hear the buoyant Spectrum track "How You Satisfy Me" and guess how the band might have influenced Lennox's new material. Tomboy will stream here in its entirety until April 12. Please leave your thoughts on the album in the comments section below.